Rehab Smarter. Enhance Care. Profit More. Evaluate & improve any movement. Effectively. One-touch video review by capturing a live video stream directly. Selectively, review what matters. 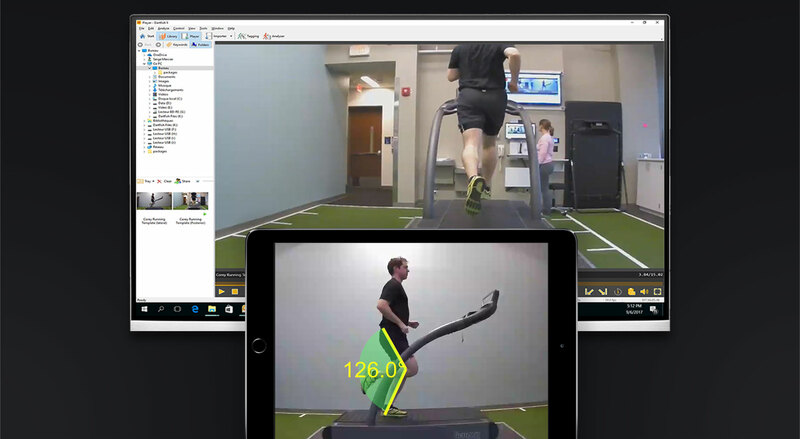 Analytical tools gather valid movement data and you can use unique video replay features to demonstrate patients' movement and progress. It's all about the patient! It’s all about the patient! Video helps you better understand the root issue, allows you to customize a more effective treatment plan, and encourages patient ‘buy-in’ to therapy. Thousands of practices use Dartfish with cash-pay and insurance-reimbursement services. And the ability to share video makes it a powerful marketing tool. We purchased Dartfish because subtle changes in motor function occur over the course of rehabilitation and recovery that are often not picked up by numerical scales. Dartfish enables us to record a patient’s performance at each visit, and analyze it objectively to detect those changes, as well as provide patients with feedback for further treatment.